Join us for our fourth and final Meat & Greet for the season! It’s a market style event with our local meat producers. 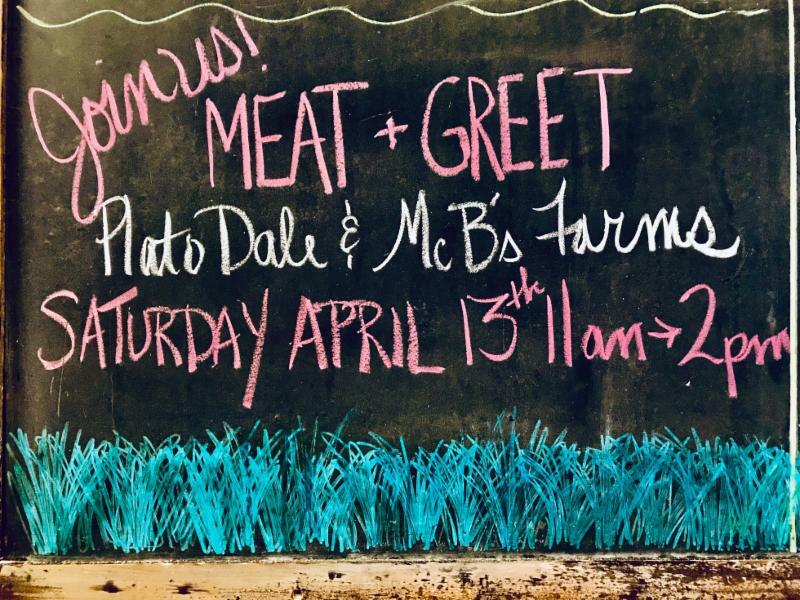 Stop by between 11am-2pm to meet Kent Miller from Plato Dale Farm in Arcade and Krys & David Bittner from Mc B’s Farm in Gasport. Chat with them about their animal management, meat cuts and cooking suggestions. They will have meat for sale including beef, steaks, chicken, lamb, rabbit, as well as chicken and duck eggs.